Marmaduke is not fun, funny or entertaining. Made for anyone who considers a talking farty dog funny. Marmaduke is a big dumb Great Dane voiced by Owen Wilson (Wedding Crashers). When the family who owns him decides to move from Kansas to Orange County (expect more Wizard Of Oz and O.C. references than you can handle), Marmaduke is thrown out of his groove. Orange County is the home of pedigree purebreds. Marmaduke is not only on the outs for being a mutt, but his wild behavior is socially unacceptable. A lot of little things happen throughout the movie, yet there is no central narrative. 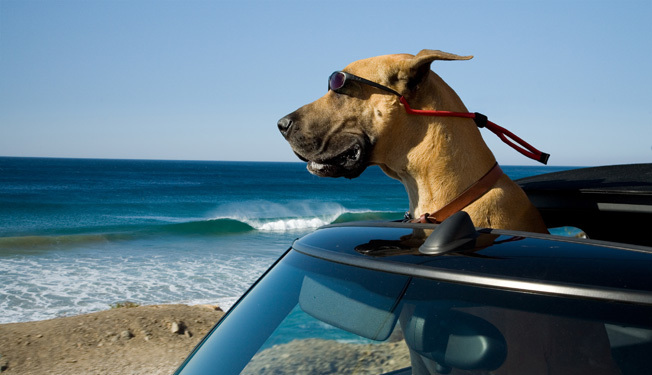 Marmaduke makes friends with the misfits, but later betrays them for the snobby purebreds. He ruins things for his owners. Then it has a similar ending to All About Steve. All the while, you don’t care for a single person, dog, cat or animal in the whole movie. Coming across like Fox’s version of Beverly Hills Chihuahua, these are the types of films that parents hate bringing their kids to and hate even more when they have to watch it over and over again on home video. It’s a boring and typical teenager story – like Diary Of A Wimpy Kid – told with animals. There is nothing new about it. It is filled with references to obscure ten-year-old films that most parents wont get, let alone any ten-year-old kid. It is filled with poop and fart jokes, one after the other, followed up with bad scenes of CG dogs doing human things – dancing, scratching records, etc. same goal – getting these awful movies off the big screen. Don’t see Marmaduke. You are better than that.